When a young teenager hears the word ‘love’ the first thing that may well come to mind is the sort of love one encounters in romantic movies, thrilling, melting, gushing, fuzzy feelings of warmth, happiness and contentment. 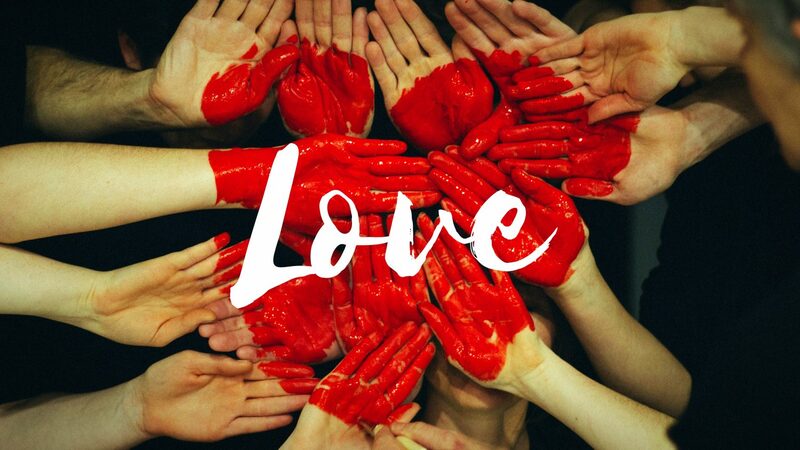 Love that is primarily an emotion and includes all those feelings of being loved, supported and accepted whether by friend, family or intimate and which is undeniably beautiful and necessary for all of us. But what if that same person was to encounter a radically different love, a love so shocking, so overwhelming that it transcends all previous incarnations of the word ‘love’ and invests it with a reality and a meaning that is literally life-changing. I believe in such a love, it’s the love that inspires an alcoholic mother to give up drinking for her unborn child despite the agony it causes her, the love that inspires an over-worked father to leave work early to see his daughter’s Christmas play despite the wrath of his manager, the love that inspires a husband to spend a night at home with his depressed wife rather than go to the pub with his mates despite missing out on a good night. Are these not ripples in the ocean of love which inspired a perfect being to send His only beloved Son to a race of wayward and broken beings to reveal to them the reality of His abiding love and care? Or which inspired the Son to willingly suffer a cruel humiliating death in perfect obedience to His Father to heal and save that race? Every parent will encounter a time in their children’s lives when they will do something they wish they hadn’t but we will always welcome them home with open arms, with hot meals, warm beds and encouraging words. But there will be times when love will be hard, when we will be forced to face uncomfortable truths, to resist blurring the lines of right and wrong, to love the unlovable. Where will we find the strength for this ‘other’ love if not by plunging into the abyss of God’s own love which asks us to carry our own cross, to be willing to suffer for the sake of others, to make our own sacrifices, to persevere in love with no thought of recompense, to challenge within ourselves a lifetime of selfish habits? Will we not look to the love which searches out the depths of the human heart to prepare a dwelling place for the all-holy God Himself, a love which is freely given to us but demands everything?